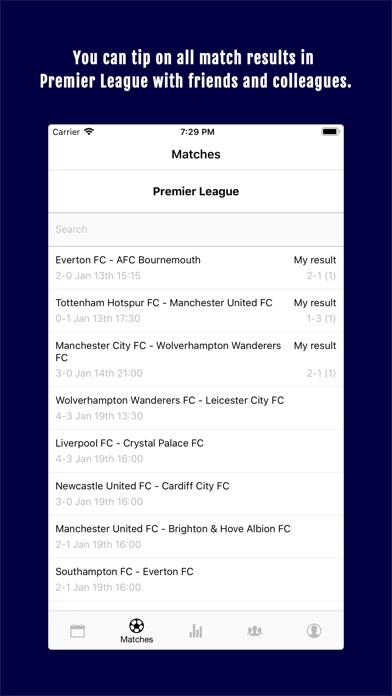 You can tip on all match results in Premier League with friends and colleagues. 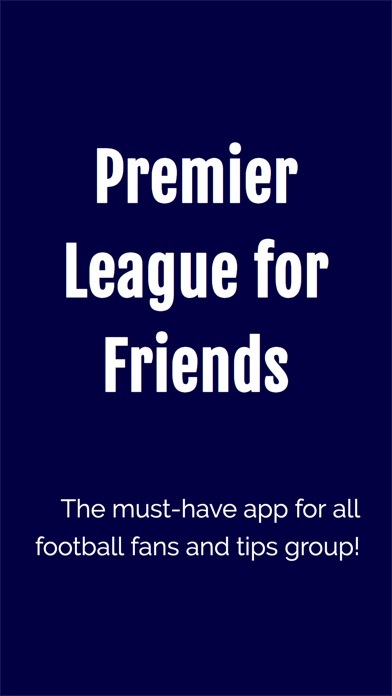 Create a group and invite your friends. Who of you is the absolute football expert? 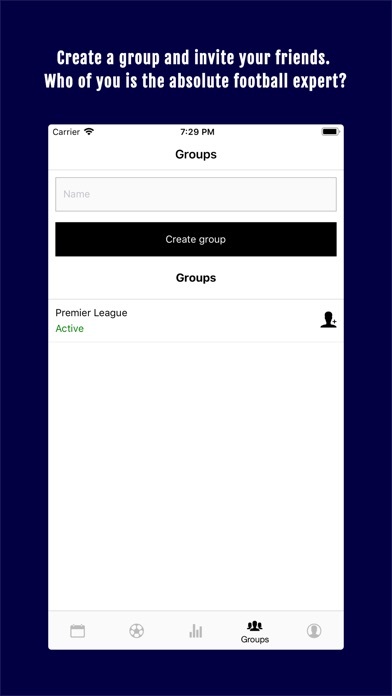 Premium features Unlock groups. Buy to create more than 5 groups. Unlock invites. Buy to invite more then 5 people per group.